Home Good or Bad Healthy Eating Free Range Chicken vs. Natural Chicken: Is the Difference Worth It? Free Range Chicken vs. Natural Chicken: Is the Difference Worth It? Chicken is big part of my diet. To put it simply, about 60 percent of the meat that I eat is poultry while the remaining 40 percent is split between salmon (about 30) and other meat (the other 10 percent). That being said, I want to buy the freshest, purest chicken possible ... which is next to impossible ... or is it? Natural chicken. No antibiotics, no added hormones, 100% vegetarian diet, raised cage free. 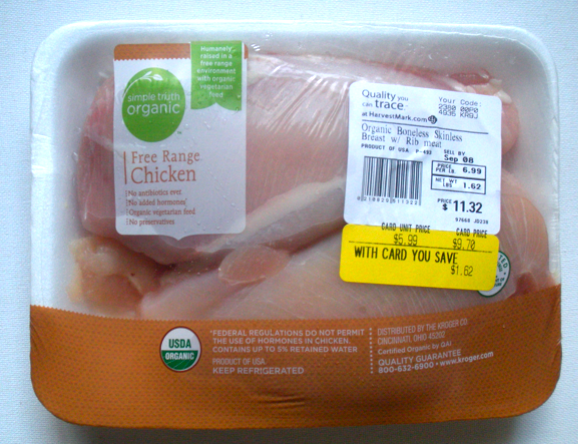 Now, last week, the store apparently introduced a new labeling for "free range, USDA Organic" chicken. I immediately substituted that poultry in place of the one I usually purchase because the "free range" and "USDA Organic" labeling are the ultimate indicators of the least-tampered-with chicken ... or are they? Organic, free range chicken. No antibiotics, no added hormones, organic vegetarian feed, no preservatives. 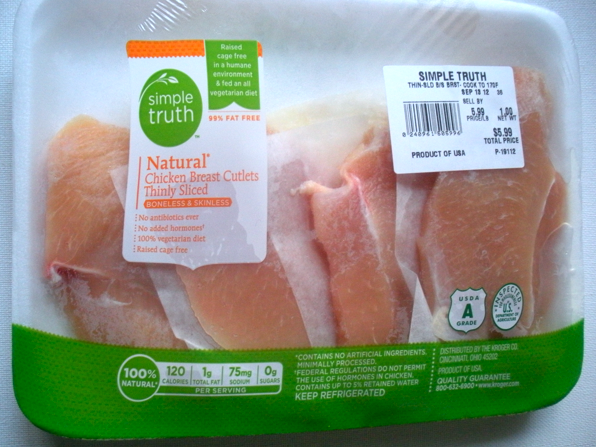 I will admit that I want to do more research on just what exactly I am putting into my body when I'm buying my usual "natural" chicken versus this "organic" and "free range" chicken versus just "free range" chicken. In the mean time, I will leave you all with this snippet from Wiki (not exactly the best place to do research, but it will suffice as an intro to the topic of "free range"). So, wikipedia was spot one. Free range chickens can roam, and are not raised in chicken cages/houses. These chickens also aren't fed hormones, most of the time either. So they're free-range AND organic. Natural at the very minimum means no hormones. One other item to note on labels: Meat-free diet, or vegetarian diet. (As some folks will feed chickens scraps that include any and every part from cows to who knows what). Manufacturers typically add on as much as they can to let consumers know about the meat they're purchasing & eating. Wow! Thanks for the information, Monique! This is useful. I almost gagged when I read the part about chickens being fed cow parts. LOL. Yuck.